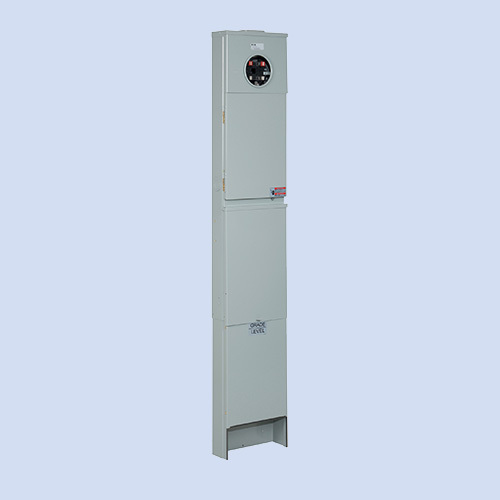 The only mobile home pedestal we offer with 150 amp service, the MHM100P comes with a 150 amp breaker. 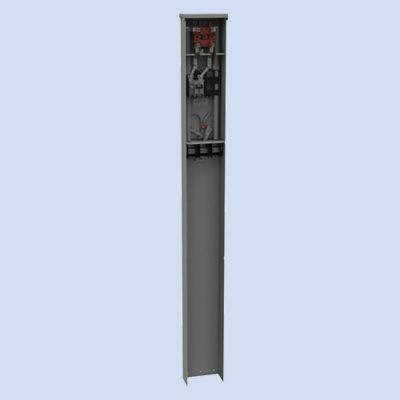 This mobile home pedestal by Eaton is a 150 amp direct bury pedestal with a 150 amp main breaker included. 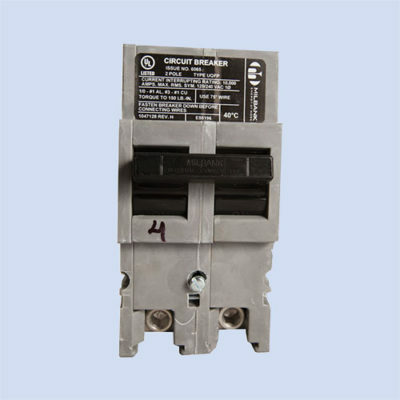 It has a 120/240v ring-type meter socket with an 8 circuit interior. 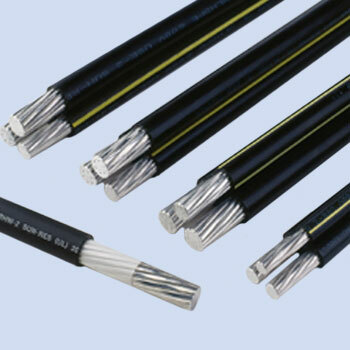 Options: ringless, pad mount, back to back, receptacle add-ons, ground fault and non-ground.